Sometimes you just need a break and want to look at cute kittens. Here you so. If anything, it shows that for over 100 years, we’ve all wanted the same thing — pictures of cute cats doing things..
1914. 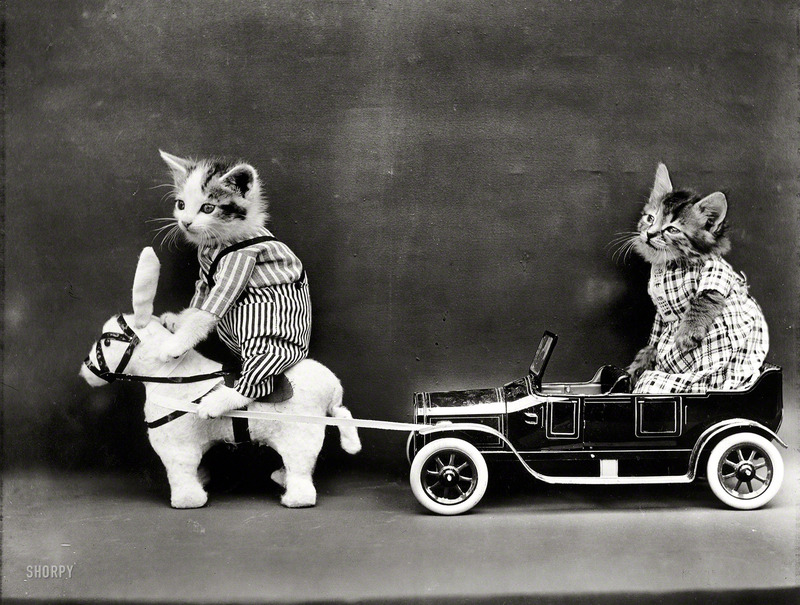 “Kitten in costume on mule pulling kitten in toy touring car.” Photo by Harry W. Frees..